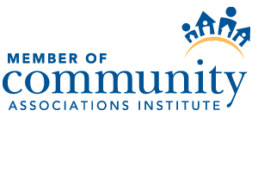 Our comprehensive FULL Service HOA Community Management company provides a various scope of services to include administrative, financial, and physical oversight of the association community serviced by a certified professional Association Manager. AMS sends welcome packets to new homeowners, consisting of payment information, emergency contact forms, communication forms, and a copy of the Rules +Amendments. AMS distributes computerized monthly financial statements including copies of bank statements to Board members, and guidance of yearly budget preparation. AMS assigns a Community Manager to each Homeowner Association community that communicates directly with the homeowners, contractors, and Association Board. We offer peace of mind, convenience, but most importantly worthwhile guidance. We have access to experts in various fields and we have all the right people at our disposal, including insurance agents, attorneys, and maintenance contractors. We are experienced in providing good relationships with Board of Directors, supporting the association's policies and compliance to benefit everyone from our services. Regardless of how large or how small your community may be, we are able to provide a quality management package your Association Community deserves.